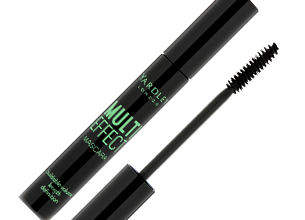 Yardley Multi Effect Mascara is an all-in-one lash beautifier with a special formula that helps build lash volume while also extending lash length and improving definition. Effective applicator brush loads every lash with rich, dark pigment. I have the worst lashes ever! They are curly, short and all over the place. A friend of mine who has lashes for Africa recommended I try this mascara. I was a little bit sceptical at first coz they all promise length and volume. Little did I know that I would really like this mascara. The brush is awesome, the bristles really grab onto my lashes and deposit just enough mascara to give me the definition that I need. It doesn’t clump at all which is something I always look for and it’s not a mission to take off. Glad I tried it, Yay Yardley!